Choom Holdings Inc. (OTC: CHOOF) (CSE: CHOO) channels the laid-back spirit of Hawaii to the Okanagan region of British Columbia with a generous nod to the inspirational, yet unofficial, history of the 1970s “Choom Gang,” a group of buddies in Honolulu (including former President Barack Obama) who knew how to relax with “choom,” the local’s term for marijuana. 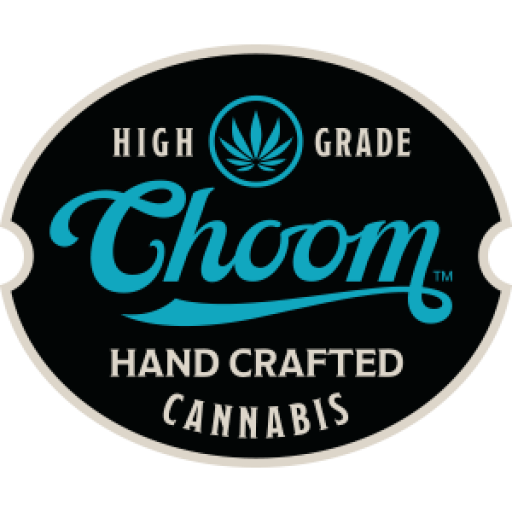 Choom’s trademark slogans pivot off another unconventional phrase (“Say Hello to…”), bringing a heady dose of good times and good friends together as the company invites investors to “Say Hello to Choom™” as it lights up the adult recreational cannabis market in Canada. Choom™ has been an ACMPR (Access to Cannabis for Medical Purposes Regulations) applicant since November 2013 in Vernon, B.C. The company’s first application has received security clearance and is now in the detailed review stage. They also recently announced their second late-stage ACMPR application, which is in its confirmation of readiness stage. Cannabis Compliance Inc. has been retained to help expedite Choom’s initial license applications to ensure the company’s readiness for legalization of recreational marijuana in Canada mid-summer 2018. True to the company’s character, Choom™ is retrofitting two large facilities – No. 1 in Vernon, B.C., and No. 2 on Vancouver Island – to house its cannabis growing facilities. Phase 1 of the Vernon property will provide Choom™ with 6,800 square feet of growing space, capable of producing 660 kg/year of cannabis at an estimated revenue of $6.6 million, excluding oils. The company expects this facility to be completed by July 2018, the same month that Canada is expected to formally legalize recreational marijuana for adult use. A potential Phase 2, to be completed by the end of 2018, would add another 6,800 square feet for a total of 1,500 kg/year capacity, which would nearly double No. 1’s revenue. A Level 9 vault is also planned with a storage capacity of 15,000 kg. While the No. 2 facility on Vancouver Island is smaller – 4,500 square feet – its retrofit is also slated to be completed by July 2018. Plans include doubling this space as well, which would add about $9 million in annual revenue, excluding cannabis oils. Choom™ announced its retail dispensary strategy with the intention of establishing market leadership in reaching the Canadian cannabis consumer. The partner program is already in the retail space design stage as the company seeks to build a chain of branded retail cannabis dispensaries in jurisdictions in Canada where recreational cannabis is legal. Choom™ Stores will have a cool, modern layout and design created to emit an authentic “Aloha” vibe. Choom™ is all about producing high-grade cultivars and curating them for a bigger audience. A savvy, experienced management team includes Chris Bogart, president and CEO; John Oh, R.P.I.C., Operations Manager; Robert Bayrack, Master Grower, S.P.I.C. ; and Adrian Robinson, Strategic Advisor. Bogart has over two decades of international experience in capital markets and was a co-founder of InMed Pharmaceuticals and Magnum Uranium. He has structured complex equity financing transactions in the U.S., Europe and Canada. Bogart is joined on the Board of Directors by Kevin Pull, Stephen Tong and John Oh. While the medical marijuana industry is expected to double by 2021 to 500,000 registered users, the true highlight of the recreational cannabis represents the key cultural shift set to launch in Canada. With an estimated $4.9B to $8.7B retail market coming, now is the right time for a Recreation Brand like Choom™ to be involved in this growing industry. Establishing and maintaining Choom™ premium brand loyalty is a key factor in the company’s growth strategy. Get ready to “Say Hello” to opportunity, good times and good friends with Choom™.